Kelvin Burzon almost missed out on a major opportunity. The Fort Wayne, Ind., native, who is of Filipino descent, earned a bachelor’s degree at Wabash College and is a member of the African American Dance Company, one of three performance ensembles that are courses in Indiana University’s Department of African American and African Diaspora Studies (AAADS). The ensembles, which also include the African American Choral Ensemble and IU Soul Revue, comprise the African American Arts Institute (AAAI), a program within IU’s Office of the Vice President for Diversity, Equity, and Multicultural Affairs (OVPDEMA). Upon arriving at IU, Burzon, who is now in the final year of a Master’s of Fine Arts program in photography, was urged to try out for the dance company by his undergraduate classmate—who was mistaken about one minor detail. “He invited me to audition and actually told me the wrong room—I walked into an opera audition,” recalled the affable Burzon, who was in show choir and theater productions as a high school student. Still, he remained undaunted, reaching out to Professor Iris Rosa, director of the dance company since its inception. Rosa, never one to rebuff an eager student, allowed Burzon to come to the first day of class to see if he could catch on to the choreography the dancers were learning. It's just a great opportunity for all of us to get outside of what we know and present our expression in a completely different context. Three years later, Burzon, who is in his final year of graduate school, clearly proved he belonged despite never having any formal dance training. He loves the fact that while the dance company is serious business, it provides him with a release from the other demands of college life. “College and the academic setting is so stressful and difficult for students, especially with time management. But the company provides a space for us to do something fun and express ourselves in a completely different way that other academic situations don’t offer,” said Burzon. “It provides that community setting where we support each other, and really unwind. I think I can speak for everyone when I say we really look forward to class every day, because we’re tired of writing papers and when you get to that space, you know it’s your studio and family. 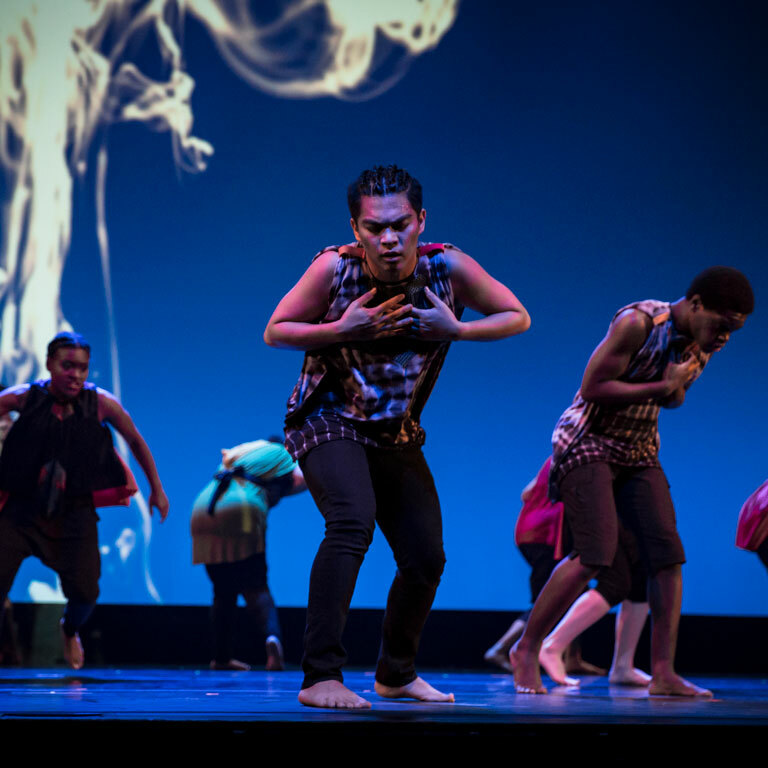 Burzon has also found a knack for helping out with other needs of the dance company, from photography and videos to creating costumes for his fellow dancers. Now, in his last year at IU, Burzon and the rest of the dance company will have the chance to showcase their talent on an international stage. The African American Dance Company will trek to China later this month, visiting the School of Law and Humanities at China University of Mining and Technology Beijing (CUMTB) on December 16 and returning to Bloomington on December 23. The trip will be a cultural exchange, with the dance company giving multiple performances, Professor Rosa presenting a class demonstration, and AAADS Professor Carolyn Calloway-Thomas lecturing, in addition to students from both universities interacting with each other. “When I first heard about the possibility of going to China, I wondered if it was really going to happen,” said Burzon. “But Professor Rosa transformed this idea into a reality and it seems like there’s been a lot of work involved behind the scenes. It’s just a great opportunity for all of us to get outside of what we know and present our expression in a completely different context. “I’m honestly looking forward to the food—hopefully I don’t eat so much that I can’t dance,” he jokingly added. “I’m looking forward to learning their type of expression, because they’ve shown us pictures and we watched a video of a performance from the university that we’re visiting. Visit the African American Dance Company blog to follow Kelvin's experiences in Beijing.